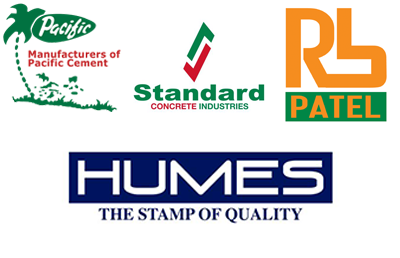 FHL is a major player in the Building & Construction industry through its subsidiaries, Basic Industries, Standard Concrete, Humes Industries and Pacific Cement. 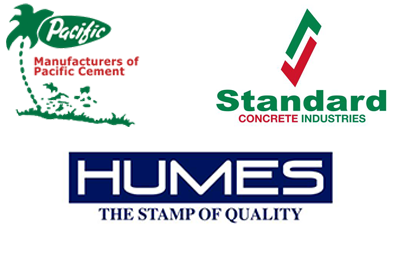 While holding approximately 13% of the Portfolio to date, this sectors provides Fiji and the Pacific with cement, ready-mix concrete, aggregates, pre-cast concrete, and blocks to name a few of our products. FHL is a major player in the media industry in Fiji through its subsidiary, Fiji Television Ltd. With the largest television viewership through it’s free-to-air station, “Fiji One”, this sector makes up approximately 10.6% of the portfolio to date. 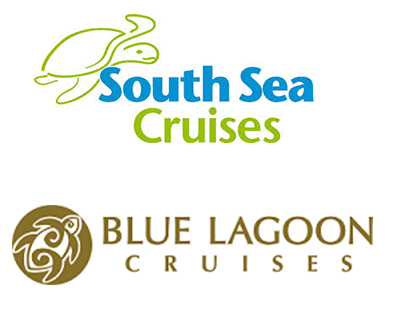 FHL is proud to be a major player in the tourism industry in Fiji through its subsidiaries, South Sea Cruises and Blue Lagoon Cruises. These investments make up approximately 18% of the Portfolio to date and provides FHL with a solid platform to further expand its reach in the future. 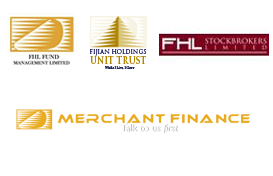 FHL is proud to support the financial market in Fiji through its subsidiaries, Merchant Finance, Fijian Holdings Unit Trust, FHL Stockbrokers, FHL Fund Management Ltd. These investments make up approximately 18.4% of the Portfolio to date and continues to grow especially with Merchant Finance slogan “Talk to Us First” and Fijian Holdings Unit Trust slogan “While I Live, I Grow”. FHL is a major player in the Retailing industry in Fiji through its subsidiary, RB Patel Group. 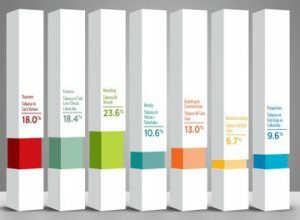 These investments make up approximately 23.6% of the portfolio to date and to date it the biggest revenue contributor to the FHL Group. FHL is also a shareholder in Newworld Supermarket. FHL is a major player in the Manufacturing industry in Fiji through its subsidiary, Pacific Cement and associate company, Golden Manufacturing Limited. With both being a largest suppliers of cement and corrugated boxes, these investments make up approximately 6.7% of the Portfolio to date. 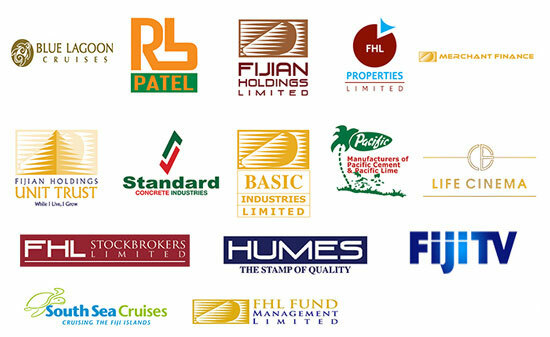 FHL is a major player in the Property industry in Fiji through its subsidiary, FHL Properties Limited. While holding approximately 9.6% of the Portfolio to date, this sector provides property management services, real estate services and property development. FHL looks forward to making another investment into this sector through it FHL Towers Project a 14 storey commercial complex in Suva. 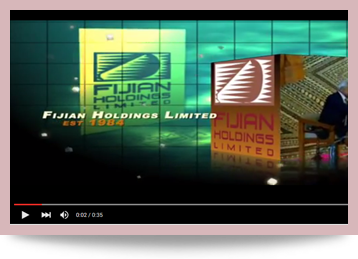 Fijian Holdings Limited (FHL) is a highly successful investment company and a major player in the corporate sector that is 100% owned by indigenous Fijians. Who can Invest in FHL? to FJD 35.70 million for the !nancial year ending 30th June 2018. This represents a growth of 15% from the previous year. This is signi!cant noting that the consolidated group revenue has grown only by 2% to FJD 311 million. Overall group assets have reached FJD 572 million while net assets or shareholders’ funds have grown by 11% to FJD 277 million. Group Liabilities have increased by 7% to FJD 294 million. It is a full year of organic growth as the group did not make any acquisition during the period under review. We have conducted have due diligence on projects but did not venture to complete the transactions due to various factors. As such, it is a year of organic growth.